FAQs | Heater Body Suit, Inc.
Are there accessories for the Heater Body Suit? Are comprised of camouflage printed material, that allow hunters to change patterns on the fly! They simply zip onto your Heater Body Suit allowing you to change patterns with the seasons. You’ll notice that your Heater Body Suit has an extra set of small zippers running alongside the main zipper that you use to get in and out of the suit, those smaller zippers are used for attaching the coveralls. Please note, coveralls don’t provide extra insulation to the Heater Body Suit and aren’t made to be worn alone. The hood easily slips over your head for full protection on those frigid, windy days. In addition, our design allows you to effortlessly tighten or loosen the amount of coverage while offering a soft, warm neck and mouth covering that can be easily tucked under the chin when not needed. Cover the top of the Heater Body Suit to allow hunters to wear either Blaze Orange for gun season or Black when hunting in ground blinds. You’ll notice that the Heater Body Suit has an extra set of zippers running along the side of the main zipper that you use to get in and out of the suit.With these zippers, you can attach the Overlays. Are great for those hunting in wet conditions or for protecting the Heater Body Suit in standing water, duck skiffs, corn fields, etc. Can I place an order to be shipped to Canada? Yes you can place an order to be shipped to Canada. Expected delivery is about 6-10 business days. Express options available upon request. When ordering you just have to select the appropriate shipping option. Please be aware that the shipping cost is an estimate only, to locate the actual price please contact us. How do I care for my Heater Body Suit? Please Note: All of our fabric and materials are preshrunk, so the Heater Body Suit won’t shrink when you wash it. DO NOT put in the dryer! DO NOT line dry near hot surfaces or objects as distortion and melting of the Heater Body Suit may occur! Please Note: Every Heater Body Suit comes with an Instruction Manual where you can locate these recommended care instructions. When you purchase a Heater Body Suit, the suit will come rolled up with carrying straps. This is the way you will carry the Heater Body Suit into the woods, using the carrying straps to carry the suit on your back similar to a backpack or knapsack. What is the Clearance Section? The Clearance Section of our site is an area where you can find drastically reduced prices on virtually brand new items. Items found in this area are either patterns or sizes we no longer carry, have been used for photo shoots, or have been exchanged/returned for a different size/pattern and therefore we cannot sell them as brand new. Please Note: Quantities are limited and can change at any given time. Coveralls are comprised of camo printed material, that allow hunters to change patterns on the fly! They simply zip onto the Heater Body Suit allowing you to change patterns with the seasons! Can I make an exchange for a different size or camo pattern? Yes, you may make an exchange for a different size or pattern.Please be aware, you will have 90 days from the purchase of a new suit to make and exchange and you will have 30 days from the purchase date of a clearance suit to make an exchange. When shipping to the 50 contiguous states we use UPS Ground unless otherwise specified by the customer and for Canadian orders we use US Mail (USPS). Both services are available Monday through Friday. How long does it take for a product to ship out? When orders being shipped to one of the 50 contiguous states are placed Monday-Friday before 3:00pm Central Standard Time they will ship out of our location the same day. For Canadian orders, when they are place Monday-Friday before 3:00pm Central Standard Time they will be shipped out the following day. Orders placed over the weekend or a holiday will be processed on the first available business day. Do you offer Special UPS Services? Please Note: These Special UPS Services exclude Canadian Orders. Pricing and availability of services may vary by location or day of the week. These Special UPS Services are only available Monday-Friday so be aware when placing Next Day Air orders on Friday or around holidays. Saturdays and Sundays are not transit days. Does the Heater Body Suit, Inc offer gift certificates? Yes, we offer gift certificates in any dollar amount. To order, visit our products page or give us a call at 1.888.565.2652 (toll free). Does the Heater Body Suit, Inc offer gift wrapping? At this time, we are able to ship the Heater Body Suits in a plain box to disguise a present for a small price of $3, but we don’t offer actual gift wrapping. Can I ship an order to another country? At this time, we are set up to ship to Canada and the United States, which can be done online. When shipping products to a country that’s not specified, please contact us directly. Toll free: 1.888.565.2652. Can I use the Heater Body Suit if I’m handicapped? We at Heater Body Suit want to make every possible effort to make our product as accessible as possible. To help accommodate your needs, please contact us directly and we will speak with you about your needs and what we can do for you. How does the hood work with the Heater Body Suit? The hood no longer attaches to the Heater Body Suit with snaps, the hood easily slips over your head for full protection on those frigid, windy days. In addition, this design allows you to effortlessly tighten or loosen the amount of coverage while offering a soft, warm neck and mouth covering that can be easily tucked under the chin when not needed. How does the Heater Body Suit work? This hunting garment is simply trapping your body heat, which creates an envelope of warm air. There is no need to worry about wires, buying endless batteries or heat packs, which will only SAVE YOU MONEY in the end! The design is similar to a sleeping bag, but the suit is tailored to your body, as it comes in 6 different sizes. The Heater Body Suit has legs, making it easy to maneuver around on stand or in your blind if a deer should sneak up on you. There are no sleeves on the suit, your arms are inside the suit close to your core body to help you stay warm, but also hide your movement in stand, you don’t want to have to adjust your perfected shot that you practiced when you weren’t wearing that extra layer of clothing. The Heater Body Suit has adjustable elastic straps that criss-cross over your chest, which keeps the suit from falling to your knees and allows the suit to naturally go behind you. Lastly, we GUARANTEE: YOU STAY WARM OR YOUR MONEY BACK! Go ahead, BUY IT! WEAR IT! and if for any reason you get cold or don’t like the Heater Body Suit for any reason we will give you your money back! What does a brand new Heater Body Suit come with? Carrying Straps: Allow you to easily carry the Heater Body Suit on you back. Start-Up Guide: Tips on using the Heater Body Suit. What does your knapsack have that my backpack doesn’t? Shoulder straps disconnect to wrap around a tree, allowing you to hang it wherever you’d like! Why does the Heater Body Suit have legs? Our Heater Body Suit is designed with legs to give hunters mobility on stand or in their blinds, this also is a safer solution as you are able to maneuver around on stand to be able to make more accessible shots. What is the Heater Body Suit made of? Where is the Heater Body Suit manufactured? We are very happy and proud to say, the Heater Body Suit is made in the great United States of America, to be more exact, Green Bay, Wisconsin. Overlays cover the top of the Heater Body Suit to allow hunters to wear either blaze orange for gun season or black while hunting in blinds. You”ll notice that the Heater Body Suit has an extra set of zippers running along side the main zipper that you use to get in and out of the suit. With these zippers, you can attach the Overlays. Does the Heater Body Suit have pockets? The Heater Body Suit does have two pockets inside of the suit. They are great for your hunting accessories! What is the Heater Body Suit Rated For? Unlike other cold weather garments, the Heater Body Suit isn’t rated for a specific temperature because our guarantee is: “You Stay Warm or Your Money Back!” We have consumers using the Heater Body Suit in some of the coldest parts of the world, for instance, Jim Shockey, he doesn’t rely on anything but his Heater Body Suit for those frigid Canadian winters. Where do I return the suit? If not sure where you’ve bought your suit from, please feel free to contact us. What does Same Day Shipping mean for me? Same Day Shipping means when you place your order Monday-Friday, before 3:00pm (CST) and it’s being shipping within the United States, it will ship out of our location the same business day. If you have an order shipping to Canada, then, the product will ship out the next business day. Please Note: Same Day Shipping is only available Monday-Friday, this may vary at anytime due to holidays we observe or if we are experiencing backorders. Does the Heater Body Suit use Scent-Lok? At this time, no, the Heater Body Suit doesn’t use Scent-Lok. From our extensive tests we’ve found when using Scent-Lok it’s best to wear it closest to your skin, therefore, wearing the Scent-Lok clothing you already own works perfect. Also, if the Heater Body Suit was the only thing that contained Scent-Lok, your odor would escape once you open the suit for your shot. When shipping to the 50 contiguous states we use UPS Ground unless otherwise specified by the customer. For Canadian orders we use US Mail (USPS). Both services are available Monday through Friday. How long does it take for product to ship out? When orders being shipping to one of the 50 contiguous states are placed Monday-Friday before 3:00pm (CST) they will ship out of our location the same day. For Canadian orders, when placed Monday-Friday before 3:00pm (CST) they will be shipped out the following business day. Orders placed over the weekend will first be processed on the first available business day. Please Note: These times can change at anytime due to holidays we observe or if we are experiencing backorders. Please Note: These Special UPS Services exclude Canadian Orders. Pricing and availability of services may vary by location or day of the week. These Special UPS Services are only available Monday-Friday so be aware when placing Next Day Air orders on Friday or around holidays. Saturdays and Sundays are not considered transit days. How do I quietly and quickly get my arms out of the Heater Body Suit when a deer is close by and I want to take a shot? Tactic Two – Bring you hands out the top of the suit in a “praying” fashion, spread your hands and the zipper will quietly fall down. This is also a great tactic to use if a quick exit is needed. Will the Heater Body Suit shrink when I wash it? No, the Heater Body Suit won’t shrink when you wash it because all of our fabric and materials are preshrunk. How do I determine what size Heater Body Suit I should purchase? The sizing of the Heater Body Suit is determined mainly by a person’s height and weight, but if you are still unsure, you can take the measurement of your chest to help you determine whether to go to a wide size. Are there sleeves on the Heater Body Suit? No, the Heater Body Suit doesn’t have sleeves. The reason being, you don’t want to have to adjust your perfected shot that you practiced when you weren’t wearing that extra layer of clothing. The Heater Body suit has elastic straps that criss-cross over your chest, which keeps the suit from falling to your knees and allows the suit to naturally go behind you. Also, by having your arms inside the suit near your core, your will stay much warmer! How will the Heater Body Suit keep me warm? If you climb into a sleeping bag with all your clothes on, you will stay warm. If you put a pair of mittens on compared to gloves you can see which is warmer. Your entire body is inside the suit, feet and all, then it’s trapping your body heat, which creates an envelope of warm air and you stay WARM! What is the best way to store my Heater Body Suit? In the off season, the best way to store your Heater Body Suit is to keep it unrolled and hang it up. This way you prevent the insulation in your suit from compressing. Does the Heater Body Suit have any UV Brighteners? No, all of the materials we use are tested and free of any UV Brighteners. Does the Heater Body Suit come with a Warranty? 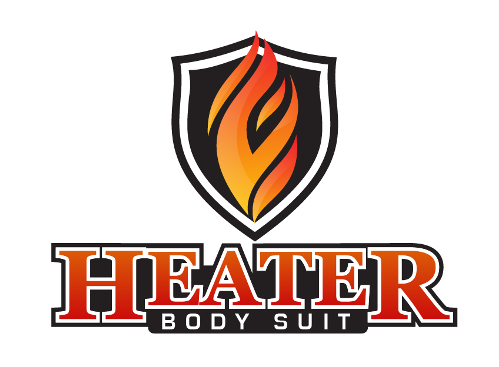 When you purchase a brand new Heater Body Suit you have a One-Year Manufacturer Warranty on product defects, material or workmanship and you have 90 days to return/exchange the suit. Any clearance or inventory blow out items have a 30 day return policy. It’s just that simple… Buy It, Wear It, and if you get cold, we’ll give you your money back! Doesn’t matter where you hunt, from Texas to Saskatchewan, this warranty applies. Now ask yourself, how many clothing companies do you know that offer this warranty? Or, would a company which such a strong warranty still be in business if people were sending their Heater Body Suits back? We’re proud to say we’ve been in business for over 15 years with this same strong warranty, it’s simple, the Heater Body Suit just works! What is Water Guard Spray? All Heater Body Suits come already treated with a DWR (Durable Water Repellant) but after about 20-30 washings you might notice it wearing away. This product is GREAT for renewing you Heater Body Suit’s water repellancy. It only takes two cans to treat a Heater Body Suit. Just spray on to the Heater Body Suit until uniformly wet, line dry and throw in dryer on the delicate setting for about 15 minutes to activate. Directions can be found on the can. All Heater Body Suits have a waterproof membrane within the bottom 6″ of the foot area. These black neoprene booties are designed to protect the foot area of the Heater Body Suit, were you a waterfowl hunter standing in a muddy corn field. How much does the Heater Body Suit weigh? 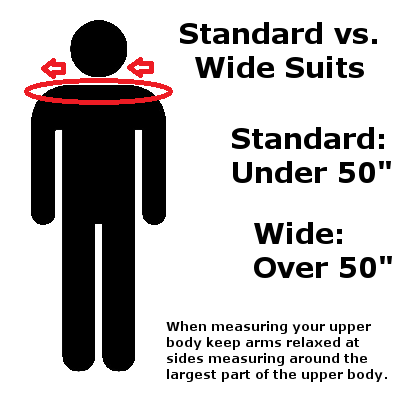 Generally a Heater Body Suit will weigh approximately 6-7 pounds, but this does vary based on the size of the suit.